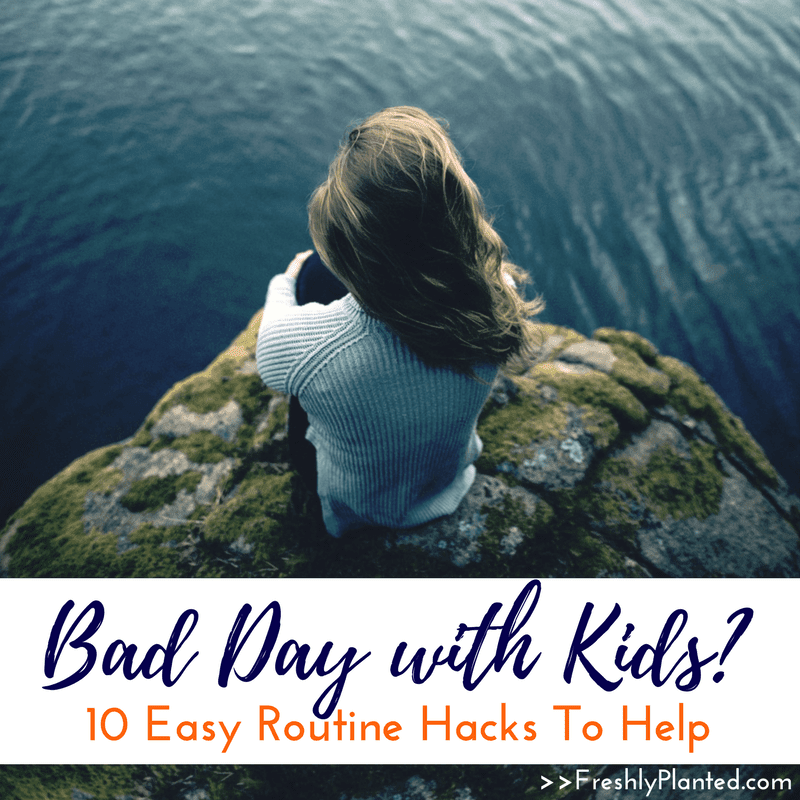 Inside: If you're having a bad day with kids, these easy tips can help turn it around! Quick ways to adjust your routine, improve attitudes, and make the most of your time together. 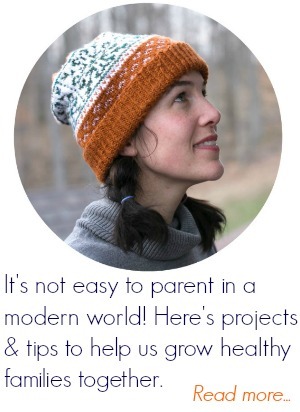 Perfect for homeschool moms and all parents everywhere. Whether you homeschool or not, everyone has bad days. Ours began with a phonics book. We had borrowed the whole set from the library and they were supposed to stay in his bookbag. When he pulled out the set they were all there- except the one he needed. "Buddy, did you leave it upstairs?" "I don't know," he said, stealing one of his sister's pencils. "Can you run and see, please?" I asked, taking the pencil away. "Sure," he said, darting behind the pantry door to hide. He ran upstairs, as I clung tightly to my last strings of patience. The day had started on the wrong foot. He needed extra reminders to make his bed. He put on a dirty shirt from yesterday and had to go upstairs to get a clean one. Running down the stairs afterwards he bumped into his little sister and made her cry. Needed extra help in the bathroom. Broke something from the nature shelf. Spilled milk on the floor. And now his phonics book was missing. Sometimes being a normal five-year-old and parenting are a hard fit. 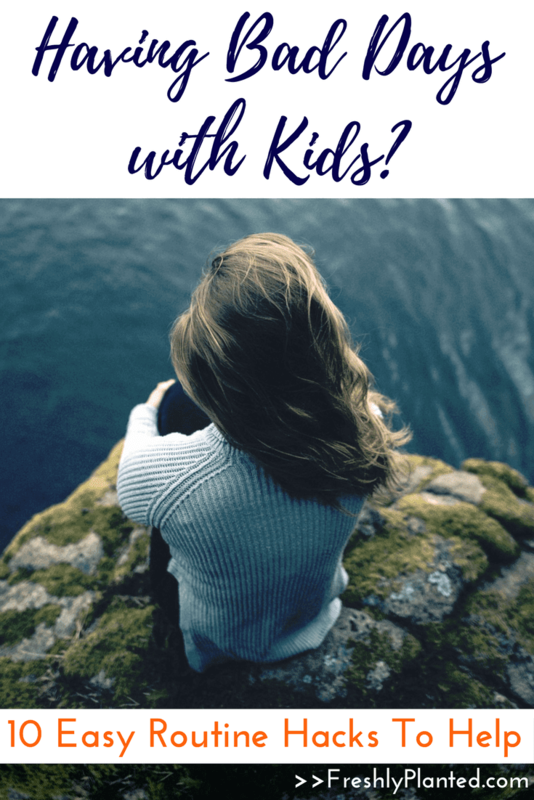 The truth is bad days are as hard for our kids as they are for us. When teaching, I could tell how a kid's day was going by how they walked into my classroom. Those who were struggling to remember pencils, follow directions, and keep hands to themselves shuffled into the room, eyes & shoulders down (especially by last period). They were stuck in a pattern of frustration, and they expected it to continue. The same thing happens with my kids at home. So how do we help them get unstuck? >>Free Printable at end of post! Post may contain affiliate links to materials I recommend. Think of anything they're done right (no matter how itty bitty) and focus on that. Bring them over by themselves, kneel down to look in their eyes, and sincerely thank them for it. Kids get distracted by what they're doing wrong as much as we do! This helps reset their focus, and our focus too. When we're cornered by our bad choices, or somebody else's, our bodies can go into "fight or flight" mode. Stopping in our tracks, biting our tongue, and sitting down for a long hug helps everyone's bodies to relax. This builds empathy, leading to quicker re-connection. Since you're already sitting, this can be a nice chance to share a book. Keep it light and choose something everyone enjoys- a recent read aloud or family favorite. Ease back into a learning mindset together. Eating something is comforting to our bodies. Foods can be calming, especially those with calcium and magnesium. Easy choices include cut vegetables & hummus, dried fruit & seeds, warm milk with honey, crackers with nut butter, or oatmeal with berries & milk. Sipping a glass of cold water slowly hydrates kids (which improves mental performance) and helps calm their nervous system- think "fight or flight" from #2. Simple stretches can help center little bodies, and big bodies too! 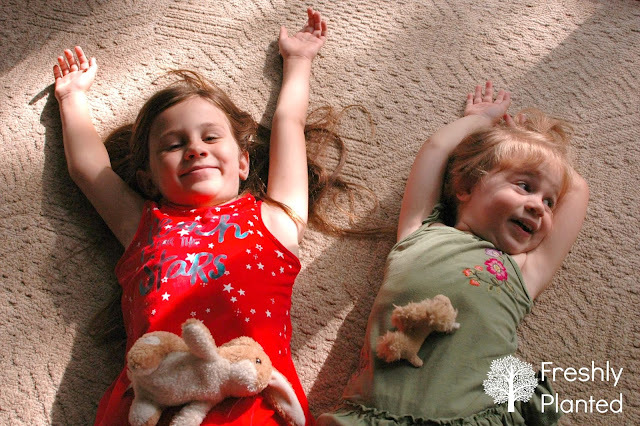 Child's pose can help with calming down. 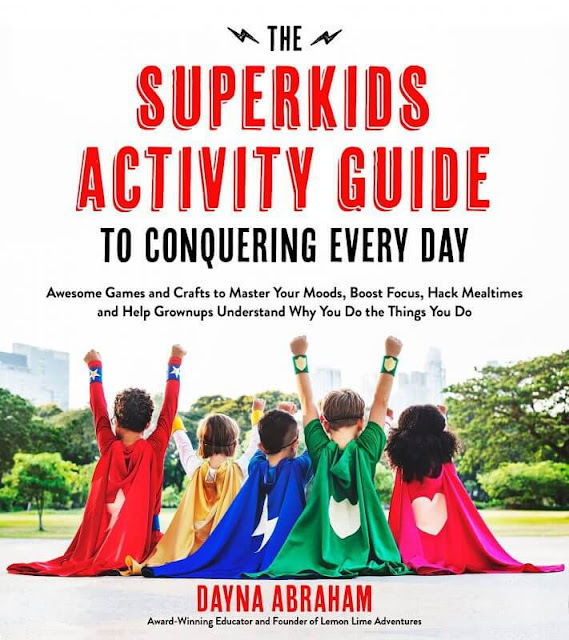 If a kid's struggling with confidence then big poses such as star pose and warrior pose can expand their bodies, making them more comfortable with taking up space. This helps kids be more confident in their bodies, and can give them courage to talk about their emotions too. A change of scenery and fresh air can work wonders. This might mean taking a blanket outside for your lesson, taking a nature walk around the neighborhood, or throwing a ball back and forth while you practice counting or multiplication tables. A fun way to get everyone moving and active! These is a great mood-changer in our house. You can add learning by playing an educational song (Schoolhouse Rock, anyone?). A fun idea from The SuperKids Activity Guide: "This game is played by lying on your back with your favorite stuffed animal on your stomach. Close your eyes and think of something happy (a new toy, ice cream sundaes, a day at the park, etc.). Begin to focus on your breathing. Don't take a deep breath or breathe forcefully. Instead, simply focus on your natural breathing. Inhale through your nose slowly and feel your belly rise. You should see your stuffed animal rise as your belly fills with air. As you are inhaling the breath, count slowly to three. Now, slowly exhale the breath and feel your belly release the oxygen and return to its original size. Do this for a few minutes, really focusing on your breath and your belly going in and out and in again." There's no magic cure for awful days, but small changes can add up. And that missing phonics book? After our mood-changing break, we found it in his bedroom. It turns out he'd wanted extra solo reading practice the night before. With happier hearts, we were in a good place to pick it up and read it again- together. Love this book! We received a copy to review, but all opinions and excitement are our own. 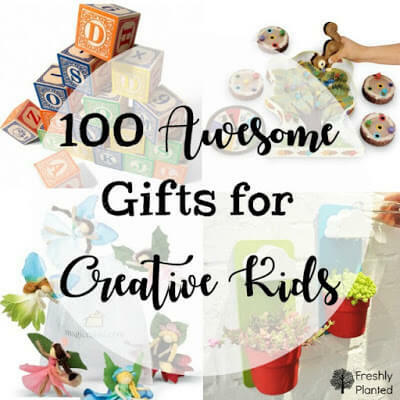 The Out of This World Fidget Bracelets (p.69) and Weighted Snake Lap Buddies (p.93) are the first projects our kids picked out. Highly recommended for ALL families. Just be warned- if you share it with your kids, it might be hard to get it back (true story). Download the Free Cheat Sheet. Just use this link. Print. Use cardstock to make it stronger or laminate to protect from spills. Keep it handy. Ours is taped to the cabinet door, but hanging on the frig or tucking into a planner (especially if it's laminated) work well, too. Be Prepared! We hope no bad days ever find you. But you'll be ready if they do.